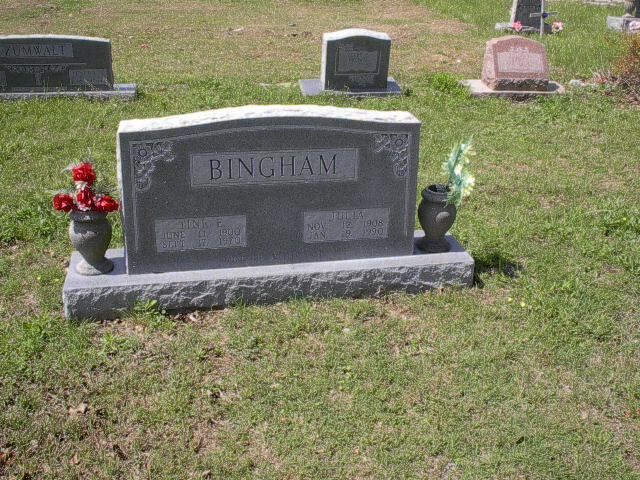 TINE EARL BINGHAM was born June 11, 1900, and died September 17, 1970 in Brady, McCulloch County, TX. He was the sixth child born to James Riley Bingham and NANCY ARMINTHA JANE BARKER.. He married JULIA VERA (last name unknown at this time). She was born 06 Jan 1909 in Texas and died 05 May 1985 in Tarrant County, TX. Census: 1930 Census McCulloch County TX. 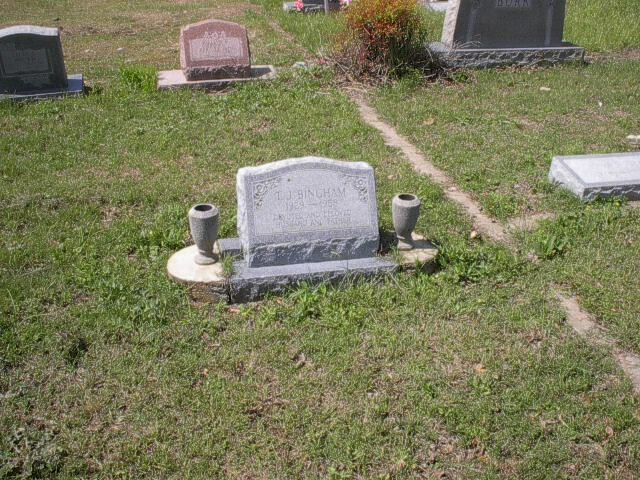 Thomas Jefferson BINGHAM b. December 08, 1929, McCulloch County, TX; d. 1958, McCulloch County, TX. Burial Resthaven Cemetery. Julia Vera’s maiden name was Zumwalt. My husband is the great grandson of Tine and Julia. She was born Nov 12 1908 and died jan 19 of 1990. Thank you! My father spoke of Tine several times. Tine and Julia’s children would have been his 1st cousins.